SpaceX plans to set up landing pads on abandoned launch sites at Cape Canaveral and Vandenberg Air Force Base in a step toward the company’s vision for eventual recovery and reuse of rocket boosters. 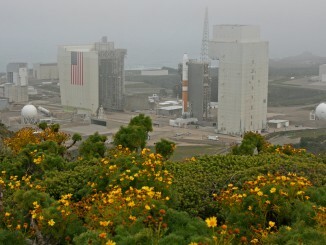 The Hawthorne, California-based launch company has signed leases to take over decommissioned launch pads at Cape Canaveral Air Force Station in Florida and Vandenberg Air Force Base in California, Air Force officials said. Brig. 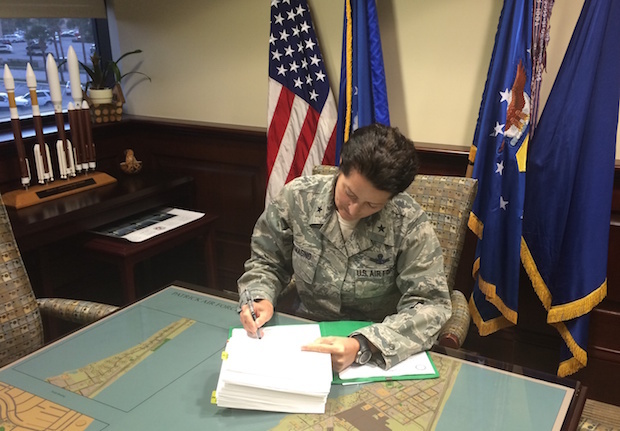 Gen. Nina Armagno, commander of the Air Force’s 45th Space Wing, signed a five-year leasing agreement with SpaceX for Cape Canaveral’s Launch Complex 13 to be transitioned into a landing pad for reusable Falcon 9 and Falcon Heavy rocket boosters, the service said in a Feb. 10 statement. 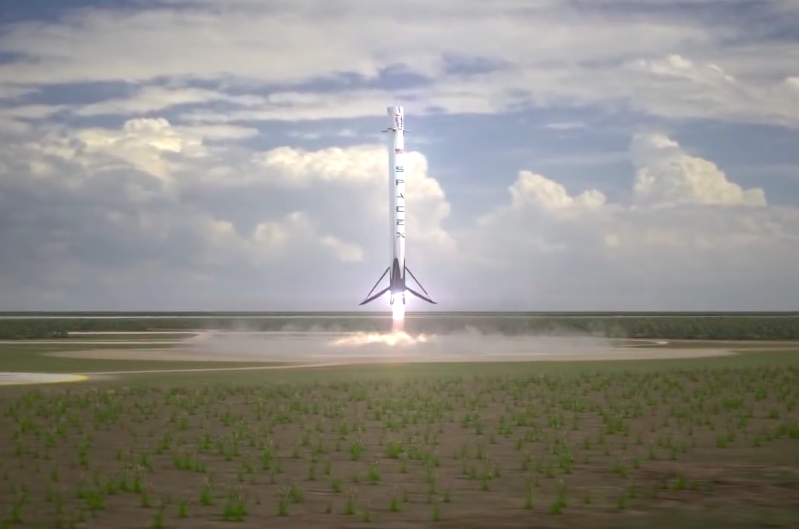 The landing facilities will be used for vertical touchdowns of rocket stages for SpaceX’s Falcon rocket family, a step toward making the launchers reusable and cutting the cost of space transportation. Launch Complex 13 was used for 51 launches of Atlas missiles and Atlas-Agena rockets from 1958 to 1978. The Air Force demolished the launch pad’s mobile service tower in 2005 and its blockhouse in 2012 to prepare the site for a new user. A draft environmental assessment prepared for SpaceX and the Air Force indicates Launch Complex 13 site will be used for landings of a single Falcon 9 first stage or a booster core from SpaceX’s Falcon Heavy rocket, which is formed by assembling three Falcon 9 first stages together. The document does not cover a scenario for landing multiple boosters at Launch Complex 13 at one time. The Falcon 9 rocket takes off from nearby Space Launch Complex 40 at Cape Canaveral. SpaceX is readying a former space shuttle launch pad at NASA’s Kennedy Space Center just north of Cape Canaveral Air Force Station for Falcon Heavy flights and crew launches with the Falcon 9. 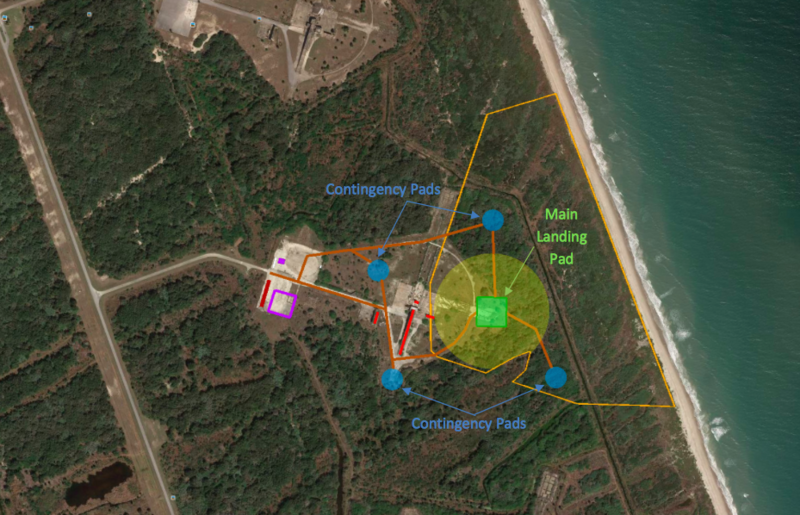 According to the environment assessment, SpaceX plans to construct a 200-foot by 200-foot square concrete landing pad at Launch Complex 13, surrounded by four 150-foot diameter “contingency” landing pads. SpaceX also plans to build a concrete and steel service structure to secure the Falcon rocket stage during post-landing operations, the assessment said. 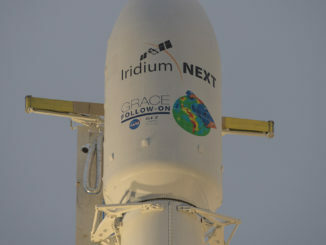 Post-flight operations would include venting leftover liquid oxygen propellant, draining any remaining RP-1 kerosene fuel, safing of on-board pyrotechnics from the rocket’s destruct mechanism, and lowering of the booster to a horizontal position for transport to a SpaceX facility. Officials assumed up to 12 landings per year in the environmental review, including three recoveries during nighttime hours. Diagram of SpaceX’s planned development of a landing facility at Launch Complex 13. Credit: Gator Engineering and Aquifer Restoration Inc.
SpaceX has also signed an agreement to lease the disused Space Launch Complex 4-West launch pad at Vandenberg Air Force Base in California, the primary spaceport on the U.S. West Coast. Space Launch Complex 4-West was last used for Titan 2 rocket launches in 2003. It lies near SpaceX’s Falcon 9 and Falcon Heavy launch pad at Vandenberg. The landing pad to be developed there may be similar to SpaceX’s plans at the Launch Complex 13 site at Cape Canaveral, but terms of the Vandenberg leasing agreement have not been disclosed. SpaceX is currently experimenting with propulsive landings of its rocket stages at sea, with an eye toward moving some of its recoveries to landing pads on the coast — when possible — on future Falcon 9 and Falcon Heavy launches once successful descents are demonstrated over the ocean. 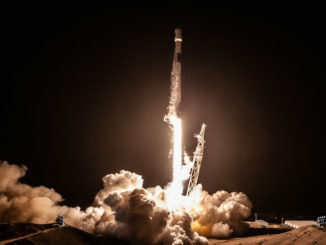 After testing the landing concept with a vertical takeoff and landing prototype at the company’s Central Texas development facility, SpaceX flew the first stage of its Falcon 9 rocket to controlled low-speed splashdowns in the ocean after several launches with operational space missions. SpaceX took the next step in the flyback test program during a Jan. 10 Falcon 9 launch with a Dragon supply ship going to the International Space Station. Once the rocket’s 14-story first stage finished its nearly three-minute burn after liftoff, the booster turned around and re-ignited some of its engines three times, aiming for a vertical descent to a landing barge floating in the Atlantic Ocean offshore Jacksonville, Florida. The maneuver was almost successful, but the the rocket’s hydraulic system controlling the movement of four aerodynamic steering fins ran empty. The booster crashed on the barge, disintegrating in a fireball but only inflicting limited damage to the barge. No timetable has been set for SpaceX’s first booster landing attempt at one of the facilities leased from the Air Force. Industry officials expect SpaceX must execute more gentle barge landings before passing safety hurdles for descents over land.